Posted Monday, May 10th, 2010 by Steve Leigh. Nothing lasts forever, including printers. Whether you have a personal inkjet printer at your house or a high-volume MFP printer in your office, a day will come when it is time to bid farewell. But how will you dispose of your machine? Tossing it in the nearest dumpster is an option, but there are a number of other options that would be considerably better for the environment, and potentially beneficial for all parties involved. Did you know that almost every piece of a printer is recyclable? The plastic frame and trays, the rubber and metal components, the ink or toner cartridges – many of these components can be used to make something else. Do the environment a favor and call a local recycling company or the garbage service in your county to schedule a pick-up or drop-off. 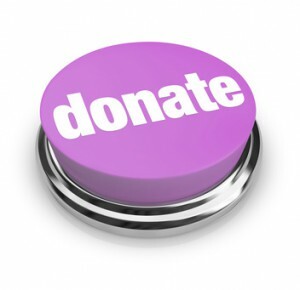 Some organizations offer credit or even cash in return for your recycled product. Even stores like Best Buy have carry-in programs. If there is no local recycling facility near you, here is a link for some general recycling information. Thrift stores and Goodwill are always willing to accept mechanical equipment, working or not working. Schools, libraries, churches, community centers, etc. would also happily accept a donated printer, though only a functioning one would be of use to them. You might want to consider removing the ink or toner cartridges from the machine (if empty) and donating those to foundations that recycle used cartridges for fundraising. Though the prices of printers have become very reasonable over the years, having their own printer in the house is not a luxury everybody has. You probably have friends that print their pictures at Walmart, print concert tickets at work, or print homework at the library before class. If you have an old, working printer, why not give it to one of these friends? Even if it doesn’t work, there are many people that simply enjoy trying to fix things or take something apart just to put it back together. If your old printer still works properly, but just doesn’t sufficiently handle your daily needs anymore, consider selling it. You can use the classified section of the local newspaper or the internet. Craigslist is a good site to use for local transactions that involve buyers picking up the product, while Ebay will reach a worldwide audience but involves the hassle of shipping, which is not always easy when it comes to printers. 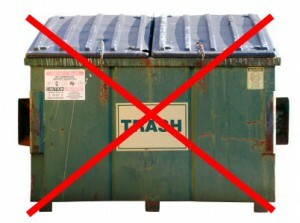 These are simple alternatives to throwing a fixable machine or recyclable products in a garbage can. Even if the printer no longer suits your needs, you never know how much it could benefit someone else.